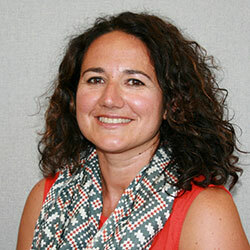 Begoña Rodríguez de Céspedes is MA Translation Studies Course Leader at the University of Portsmouth. She trained as a translator and interpreter before joining the University to teach Translation and Spanish Language. She has carried out translation and proofreading freelance work over the years (specialising in legal translation and translation of children’s stories) whilst lecturing at university where she has developed and coordinated units in translation across levels. Her research interests include pedagogical issues in translator training and professionalisation. Begoña is involved in several translation and knowledge services projects including organisation of the Annual Translation Conference, Portsmouth coordinator of the European Project OPTIMALE (Optimising Professional Translator Training in a Multilingual Europe), EMT European Master’s in Translation and organiser of professional translation workshops and seminars. She is also Portsmouth coordinator for the NNT (National Network for Translation) and for the ELIA Exchange UK team (cooperation initiative involving LSPs, European universities and translation students). Translation training and professionalisation; enterprising education.